In the early evening of Saturday the 4th December 1971, loyalists from the Ulster Volunteer Force (U.V.F. ), under the control of the British military, planted a no-warning bomb on the doorstep of a family-run bar in north Belfast. Allowed to escape unmolested into the night and into the murky history of the Troubles, they left in their wake a massacre that led claim to the single greatest loss of civilian life until the Omagh murders in 1998. 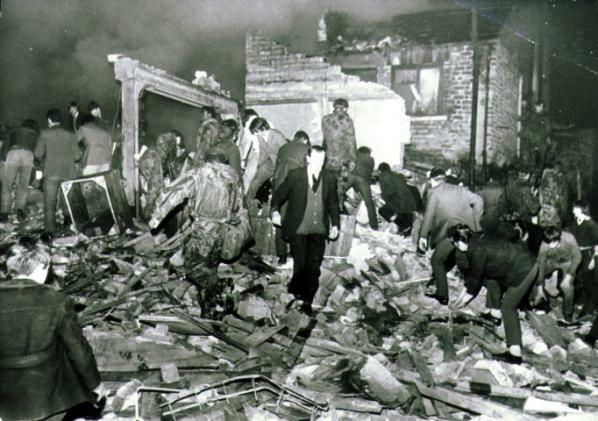 Nevertheless, those people who perished that night in McGurk’s were to become the forgotten victims of a very dirty war. 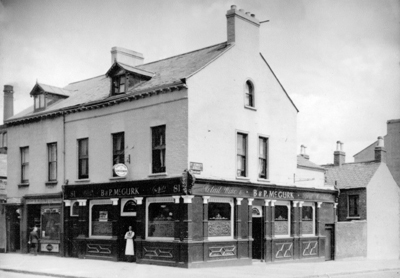 An 8-year-old boy called Joseph McClory saw three men skulking in a parked car near McGurk’s. So observant was this lad that he noted a small Union Jack flag upon its back window. One of these men had got out of the vehicle and Joseph noticed his shadowy figure in the doorway of the bar. The stranger, clad in a long, dark overcoat and disguised by a mask, set a parcel down and fled back to his cohorts. He bore as little concern for that young child he passed on the pavement as he would for a dog on the street. The 50lbs of gelignite ripped through the small pub and brought its walls and roof down upon the innocent people within. Those who were not crushed or slowly asphyxiated by masonry were horrifically burned when shattered gas mains burst into flames beneath the rubble. In the immediate aftermath of the explosion, disregarding their own safety, the families in the area emptied onto the road and began clawing at the debris with their bare hands so that they might save some of their neighbours. 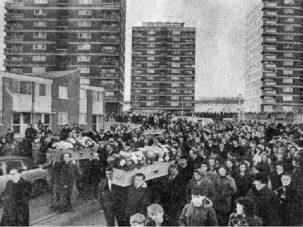 Only for their feverish toil that night and the labours of the emergency services another dozen would have perished. Eventually, though, the lifeless bodies of fifteen innocent men, women and children were dragged from the ruins.